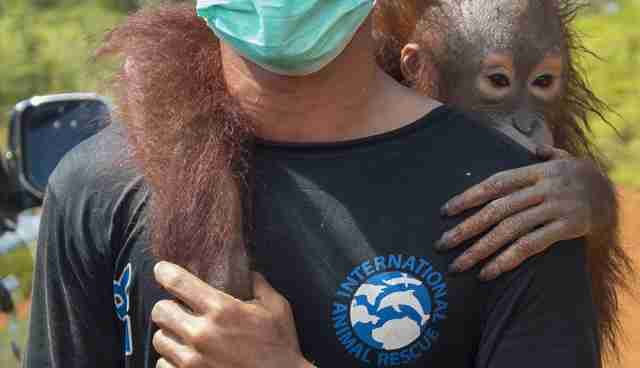 When a man found a baby orangutan crying and alone in an Indonesian forest that had been razed for a palm oil plantation, he thought he'd help her by bringing her home with him. For four years, he kept her with his pet dogs. He let her play with his children. He named her Utat. But then Utat became too big to be held and handled. 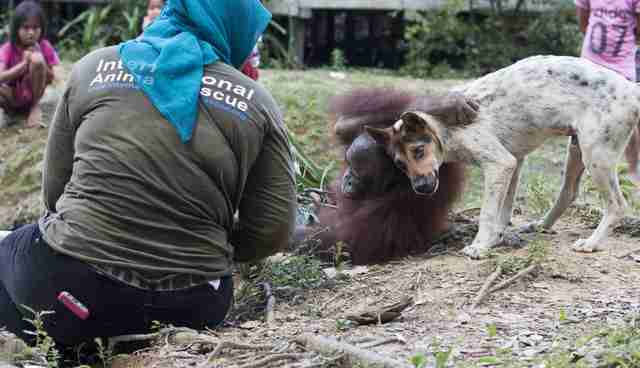 "Her owner was becoming wary and even scared of her," Ayu Budi Handayani, a veterinarian with International Animal Rescue (IAR), said. "He no longer wanted to hold or handle her for fear she would bite him." And Utat wasn't faring well. 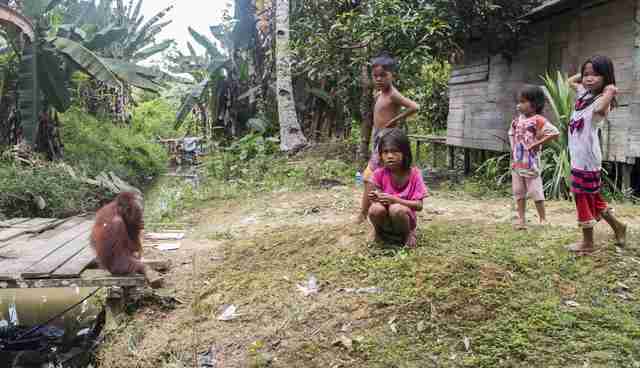 Treated like just one of the family's pet dogs, she had been fed food meant for human beings. Basically, Utat had no idea that she was a wild (and endangered) animal. "Although she is clearly used to being around dogs, she won't be socializing with dogs in our center," Lis Key, spokesperson for IAR, told The Dodo. 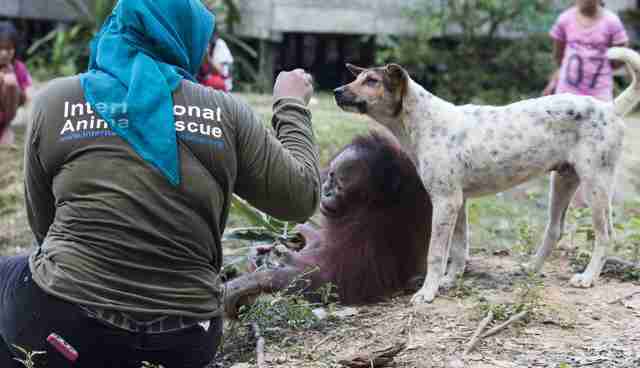 "Wild orangutans would have no opportunity to meet dogs in the forest, particularly as they spend most of their time off the ground in the trees." 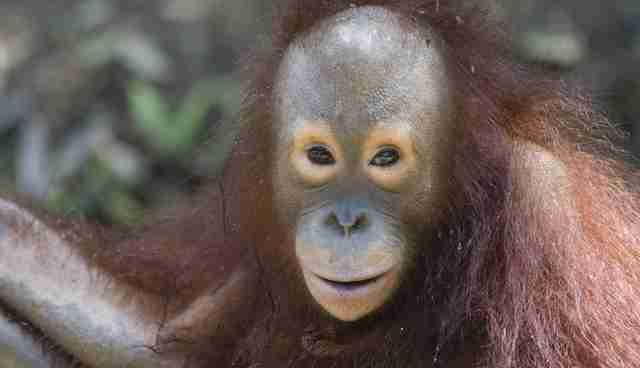 After a brief quarantine period (six or seven weeks), Utat will join other orangutans who will help her recover her true, wild identity. And she needs the rest. "Utat was suffering from very sparse hair and dry, flaky skin - and she also smelt very bad," Handayani said. "This was no doubt a result of her diet: The poor creature was mostly fed on rice and salted fish, or rice on its own, flavored with monosodium glutamate (MSG)." 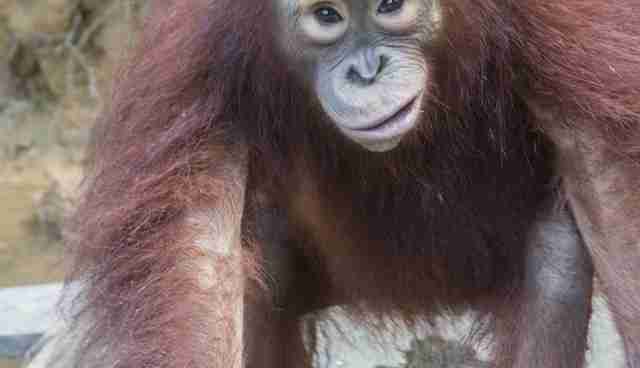 But rescuers believe that Utat can recover her physical and mental health after her years-long journey as someone's pet. 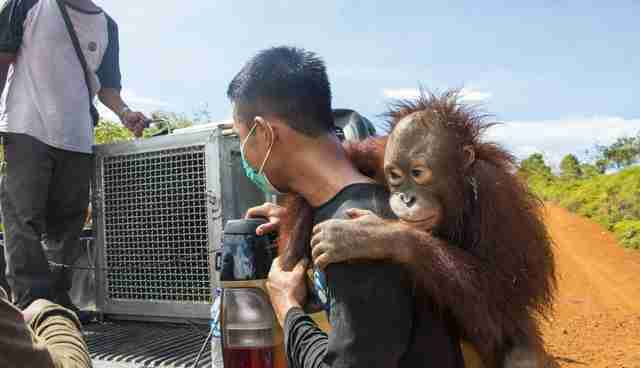 "Having been without her mother since she was a tiny baby, she has never been taught the skills she will need to survive in the wild," IAR wrote. 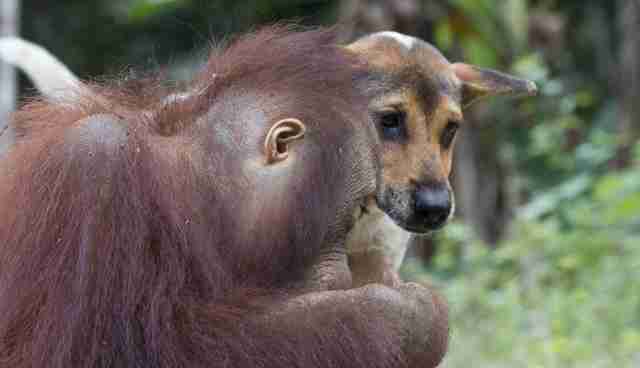 "Now she will have to learn from the other orangutans."